The police have sought help from anthropologists and academics to find out how Sentinelese behave after killing an outsider. Some experts have said that a few days after the burial, Sentinelese dig out the body and stand it up on the beach with a bamboo pole as a warning for trespassers. 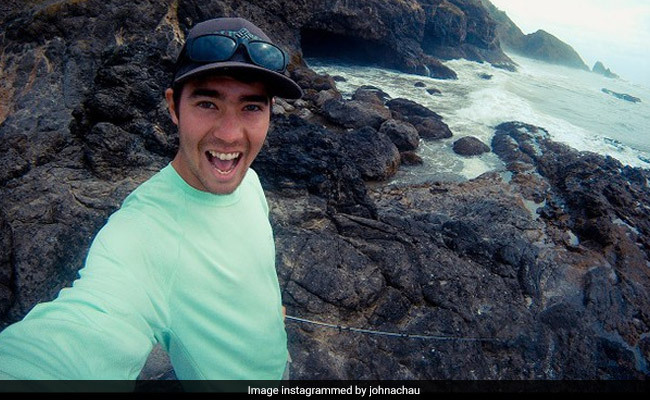 John Allen Chau was killed by arrows fired by the Sentinelese hunter-gatherers. The rituals in death over of the primitive Sentinelese tribe may hold the key to getting back the body of American John Allen Chau, killed by the aboriginals on North Sentinel Island near Andaman and Nicobar and buried on the beach. Death is a central element in all thought-processes, civilisations, rituals and religions, experts have told the police.The Sentinelese response to Mr Chau's death could provide a clue to how to deal with them. The American missionary Chau was killed by arrows fired by the Sentinelese hunter-gatherers last week after he illegally went ashore in an apparent attempt to convert the tribe to Christianity. "Basically it's a civilizational dialogue. They are a diverse civilisation. We have to enter their worldview and try understand how they look at things without giving them any distress or trouble," a senior member of the Andaman and Nicobar administration involved in the John Allen Chau exercise said. "We have more or less identified the place of burial witnessed by the fishermen who took Chau to the island. Anthropologists are analysing the psychology and the response of the group to death, especially the death of an outsider. Naturally, as elemental human nature, it must cause distress," said Dependra Pathak, the police chief of Andaman and Nicobar islands. Another angle being analysed is the experience of a Coast Guard helicopter team that had tried to land at North Sentinel in 2006 to retrieve the bodies of two fishermen killed by Sentinelese and buried on the beach, just like Mr Chau. "We are analysing how the Sentinelese responded to that attempt," the Director General said. "I have asked for the records of that incident which I will study tomorrow," he added. In 2006, Sentinelese hurled arrows and spears at the chopper that Commandant Praveen Gaur flew to North Sentinel. After tricking the Sentinelese by drawing them away, the copter did manage to land, the crew did manage to identify the graves and even dig out the body. But the Sentinelese returned in full attack mode and the chopper had to fly off to safety. On Friday, the fishermen who had smuggled John Chau to North Sentinel were taken by the police back to the island and made to identify where they had seen the American being buried. As the boat approached the island, four to five Sentinelese men stood on the beach. They may have been guarding Mr Chau's grave. "I am also becoming an amateur anthropologist," a senior police officer said. He has put under the scanner the behaviour pattern of the primitive Jarwa tribe who were as aggressive as the Sentinelese till the late 1990s. "They are all the same tribe and we studying the behaviour pattern of Jarwas to see if we get a clue to handling the Sentinelese," he added. According to sources, the Chau family has told the administration that the Sentinelese should not be troubled. They also urged government "to go soft" on the seven arrested for abetting Mr Chau in his mission to land on North Sentinel Island. "Besides the family's appeal and the advice of anthropologists like Triloknath Pandit, there are also legal restrictions on landing on the island. So legal experts are also being consulted on how to take the whole thing forward," an officer said.